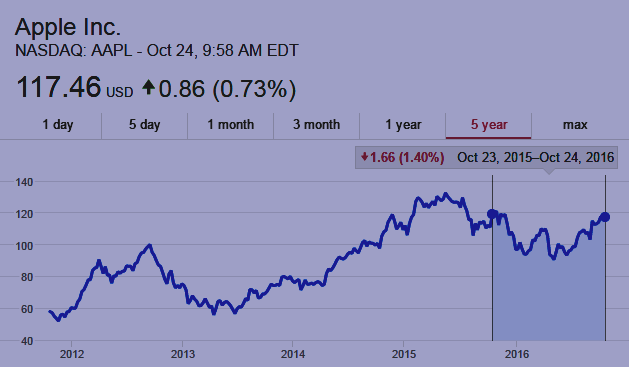 MacroView: World Markets, Global Economy, Central Banks, Trick or Treat? MacroView Feature • Just in time for Halloween: World Markets, Global Economy, Central Banks, Trick or Treat? There is growing concern in Beijing about China’s development lending in risky countries. FT.com's James Kynge explains. Published October 26, 2016. See also Xi Jinping Is China’s ‘Core’ Leader: Here’s What It Means | NYTimes.com. • Gundlach's view on Trump may be vindicated on November 8. There are two indicators that Trump may be doing better than polls suggest in some states, reports the New York Times--If They Google You, Do You Win? | NYTimes.com--1) The main insight from Google searches this year is that African-American turnout may be down in 2016; 2) nationwide, there are more searches that include “Trump” before “Clinton” (where a search includes the names of both candidates, the name appearing first is a known preference indicator in favor of that candidate). Even the latest re-emergence of the Clinton email scandal now favors Trump: more than 3 in 10 voters say the news made them less likely to support Clinton according to a Washington Post-ABC News tracking poll. Out of the 5 stocks above, this week's biggest (and only) net gainer for the week? Twitter $TWTR. • More Apple Bling: Apple Unveils Groundbreaking New MacBook Pro | apple.com: New 13" Macbook Pro with Touch Bar, dual-core i5 starts at $1.8K; 15" model with Touch Bar, quad-core i7, Radeon Pro 450 starts at $2.4K; both ship in 2-3 weeks. But don't forget the dongles: Apple’s new MacBook Pro kills off most of the ports you probably need | TechCrunch.com. See also Apple says AirPod shipments to be delayed | Reuters.com. • Qualcomm to buy NXP Semiconductors, the largest maker of semiconductors used in cars, in $47 billion deal--Bloomberg.com. • Nobody wants an exploding phone? Samsung operating profit plunges 30% in wake of Note 7 fiasco--BBC.com. • Facebook Lets Advertisers Exclude Users by Race | ProPublica.org: Facebook lets advertisers exclude black, Hispanic, and other “ethnic affinities” from seeing ads; Facebook says “ethnic affinity” isn't the same as race. • "Twitter, the highest-circulation short-form “newspaper” on earth"--Professor Randall Stross in the New York Times. See also Important News about Vine | Medium.com: "we are sharing the news that in the coming months we’ll be discontinuing the mobile app." • Uber surge: Got an urge to splurge? Surge pricing is coming to UberEats in select cities | TheVerge.com: "$30 for a grain bowl anyone?" and Uber Freight Will Bring Surge Pricing to the Trucking Business | technologyreview.com. But see Uber loses employment tribunal in the UK | TechCrunch.com: "The tribunal’s ruling means Uber drivers in the UK will be entitled to holiday pay, paid rest breaks and the National Minimum Wage. Although Uber has said it will appeal." • CenturyLink.com nears deal to merge with Level3.com reports Reuters.com. • How to opt out of Google's new tracking system--wired.co.uk: go to Activity controls in your account page and untick “Include Chrome browsing history and activity from websites and apps that use Google services." To find out which services are collecting information on your browsing habits-- and stop them--you can visit YourOnlineChoices.com (pan-European website). • The Paradox of Digital Learning Innovation | Technology and Learning | insidehighered.com: "we see postsecondary digital learning innovation everywhere but the statistics on costs, access, and quality." Abstract: "Scott Bradner will discuss the history of Internet Governance leading up to the transition of oversight of the IANA function from NTIA to the internet's multistakeholder community." Scott Bradner was involved in the design, operation and use of data networks at Harvard University since the early days of the ARPANET. He was involved in the design of the original Harvard data networks, the Longwood Medical Area network (LMAnet) and New England Academic and Research Network (NEARnet). He was founding chair of the technical committees of LMAnet, NEARnet and the Corporation for Research and Enterprise Network (CoREN). Bradner retired from Harvard University in 2016 after 50 years working there in the areas of computer programming, system management, networking, IT security and identity management. He still does some patent related consulting. Note: NANOG 68 | North American Network Operators Group | nanog.org: NANOG 68 took place on October 17-19, 2016, at Dallas, TX. 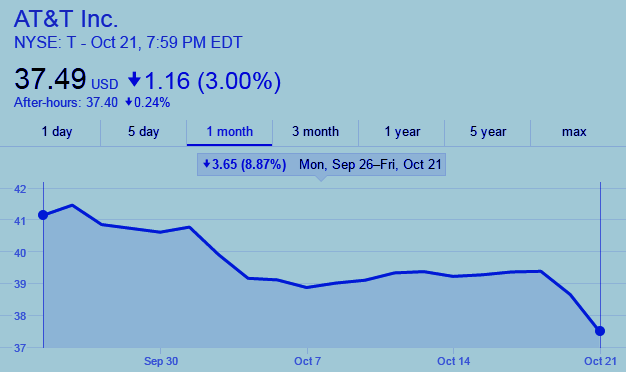 Note: Domain Mondo Twitter $TWTR results coverage here. Note: this post will be updated after earnings are released. Alphabet Inc. is a U.S.-based multinational conglomerate founded on October 2, 2015, via reorganization of Google Inc., with headquarters in Mountain View, CA. 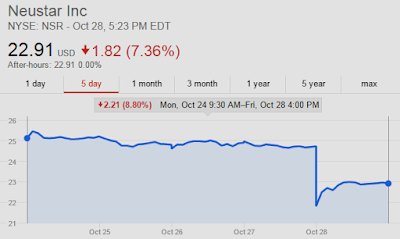 Alphabet Inc. (NASDAQ: GOOG, GOOGL) will hold its quarterly conference call and webcast to discuss third quarter 2016 financial results on Thursday, October 27th at 4:30 p.m. EDT. LIVE webcast here. A replay of the webcast will be available through the same link following the conference call. Go to the Investor Relations website on October 27, 2016 to view the earnings release prior to the conference call. Earnings Press release “We had a great third quarter, with 20% revenue growth year on year, and 23% on a constant currency basis. Mobile search and video are powering our core advertising business and we’re excited about the progress of newer businesses in Google and Other Bets,” said Ruth Porat, CFO of Alphabet. Alphabet (GOOG) Q3 2016 Results - Earnings Call Transcript | SeekingAlpha.com: "In video, YouTube continues to shine. More than 1 billion monthly users are watching hundreds of millions of hours every single day. YouTube has become the platform of choice for major brands, with a highly engaged audience, the best formats, and industry-leading measurement tools. Recent research found that nearly half of U.S. adults between the ages of 18 and 54 say that at least once a month, YouTube helps them in making a decision about buying something. One format that's been working really well for ad prices are bumper ads, which are snackable, 6-second videos that help brands drive incremental reach and frequency. Brands like Universal Pictures have been pairing these shorter videos with their standard length ads on YouTube, and they're seeing great results, especially on mobile." --Sundar Pichai, CEO, Google, Inc.
Earnings results beat estimates. Segments: Google (revenue $22.254B vs $18.534B Y/Y, operating income $6.778B vs $5.807B Y/Y), Other Bets (revenue $197M vs $141M Y/Y, operating loss $865M vs $980M Y/Y). Stock repurchase of up to $7B of Class C capital stock authorized. Google Curbs Expansion of Fiber Optic Network, Cutting Jobs | NYTimes.com Oct 25, 2016: "The company does not disclose financial results for Access. But its other-bets businesses reported revenue of $185 million in the second quarter of this year and an operating loss of $859 million. The Fiber business accounted for the bulk of $280 million in quarterly capital expenditures — money spent on things like equipment, the company said." 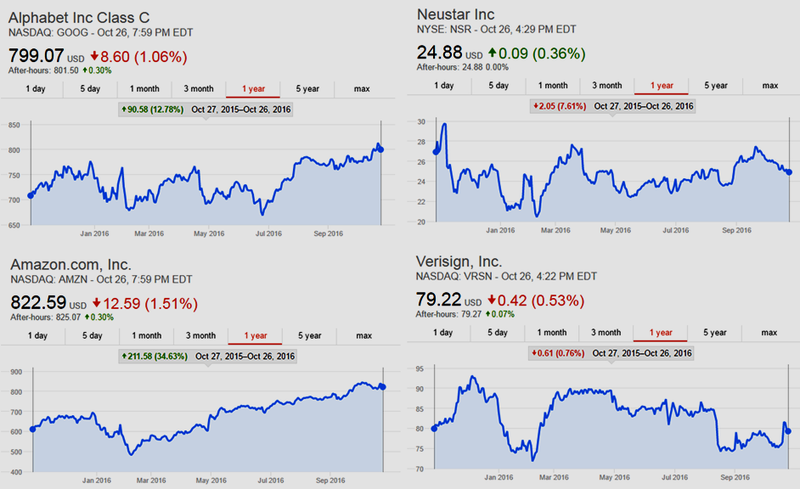 Neustar, Inc. is a U.S.-based domain name registry and technology services company, with headquarters in Sterling, VA.
Neustar, Inc. (NYSE: NSR) will report its third quarter 2016 results on Thursday, October 27, 2016 after the close of regular trading. This release will be followed by a teleconference and webcast beginning at 4:30 p.m. EDT. LIVE webcast (and replay) here. Those wishing to participate in the teleconference should call 800-406-5356 (international callers should dial 913-312-0844) and enter PIN 5676166 a few minutes prior in order to register. A replay of the call will be available through 11:59 p.m. (Eastern Time) on Thursday, November 3, 2016 by dialing 844-512-2921 (international callers should dial 412-317-6671) and entering PIN 5676166. Q3 2016 Neustar Earnings: Q3 EPS of $2.18 beat consensus estimate by $0.84. Revenues of $300.08M (+14.7% Y/Y) missed consensus estimate by $9.86M. Neustar's (NSR) CEO Lisa Hook on Q3 2016 Results - Earnings Call Transcript | SeekingAlpha.com: "... our overall results for the third quarter came in below our expectations. The shortfall was due to a specific issue, new logo acquisition at market share. We are acting with focus and urgency to strengthen our sales and marketing execution and to get these logo acquisitions back on track .... On August 31, the Transition Oversight Manager or TOM provided an NPAC transition update. The new timeframe called for transition to take place in May of 2018, nearly a year later than the previously published estimate ... Now, let me provide a brief update on our plan to separate Neustar into two publicly traded companies. We have hired third party advisors to assist with the separation and with organization design. We’ve refinanced and continue to pay-down debt to position both entities for financial success. As we mentioned before, we expect to provide financial details for the two entities during the first quarter of 2017. And we will continue to provide updates as the process unfolds .... "
See also: Previous DomainMondo.com posts on Neustar. Verisign, Inc. is a U.S.-based domain name registry services, internet security and infrastructure company, with headquarters in Reston, Virginia. Verisign operates 2 of the Internet's 13 root name servers, the authoritative registry for the .com, .net, and .name generic top-level domains (gTLDs) and the .cc and .tv country-code top-level domains (ccTLDs), and the back-end systems for the .jobs, .gov, and .edu top-level domains. Verisign also offers security services, including managed DNS, distributed denial-of-service (DDoS) attack mitigation and cyber-threat reporting. 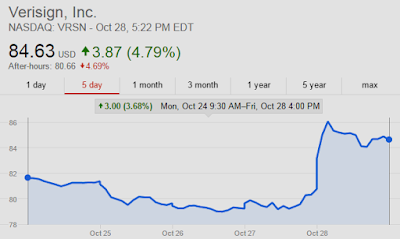 VeriSign, Inc. Investor Relations: earnings call for the third quarter 2016 will take place on Thursday, Oct. 27, 2016, at 4:30 p.m. EDT. The earnings news release will be distributed prior to the call at approximately 4:05 p.m. EDT that day and will also be available directly from the company's website at https://investor.verisign.com. Listen-only LIVE webcast at investor.verisign.com/events.cfm (and audio archive of the call). Live teleconference call accessible by direct dial at (888) 676-VRSN (U.S.) or (913) 312-1475 (international), conference ID: Verisign. Q3 2016 Verisign Earnings--Third Quarter GAAP Financial Results--VeriSign, Inc. and subsidiaries (“Verisign”) reported revenue of $288 million for the third quarter of 2016, up 8.2 percent from the same quarter in 2015. Verisign reported net income of $114 million and diluted earnings per share (diluted “EPS”) of $0.90 for the third quarter of 2016, compared to net income of $92 million and diluted EPS of $0.70 for the same quarter in 2015. The operating margin was 60.8 percent for the third quarter of 2016 compared to 58.1 percent for the same quarter in 2015. Q3 EPS of $0.93 beat consensus estimate by $0.06. Revenues of $287.55M (+8.2% Y/Y) beat consensus estimate by $0.47M. • On Oct. 20, 2016, Verisign announced that the U.S. Department of Commerce approved the extension amendment to the .com Registry Agreement with the Internet Corporation for Assigned Names and Numbers, pursuant to which Verisign will remain the sole registry operator for the .com registry through November 30, 2024. • Verisign ended the third quarter with 144.1 million .com and .net domain name registrations in the domain name base, a 6.6 percent increase from the end of the third quarter of 2015, and a net increase of 0.90 million during the third quarter of 2016. • In the third quarter, Verisign processed 8.3 million new domain name registrations for .com and .net, as compared to 9.2 million for the same quarter in 2015. • The final .com and .net renewal rate for the second quarter of 2016 was 73.8 percent compared with 72.7 percent for the same quarter in 2015. Renewal rates are not fully measurable until 45 days after the end of the quarter. 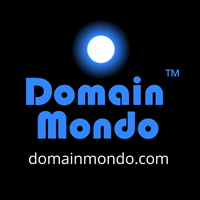 See Domain Mondo's previous posts on Verisign. Amazon.com, Inc., often referred to as simply Amazon, is a U.S.-based e-commerce and cloud computing company with headquarters in Seattle, Washington. 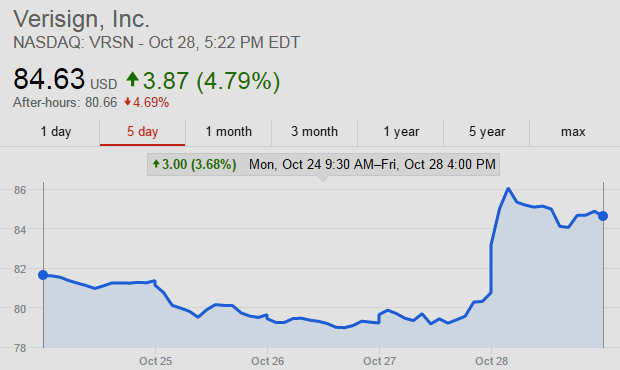 Amazon.com, Inc. (NASDAQ: AMZN) will hold a conference call to discuss its third quarter 2016 financial results on October 27, 2016, at 5:30 p.m. ET. LIVE webcast: www.amazon.com/ir. Audio and associated slides will be available for at least three months thereafter. Segment revenues: North America $18.874B (+26% Y/Y), international $10.609B (+28% Y/Y), AWS $3.231B (+55% Y/Y), Consolidated $32.714B (+29% Y/Y). Q4 projections: Net sales of $42B-$45.5B (17%-27% Y/Y growth), operating income between $0-$1.25B (vs $1.1B Y/Y). Amazon.com (AMZN) Q3 2016 Results - Earnings Call Transcript | SeekingAlpha.com: "... So first on your video comment. We're in four countries right now, the U.S., UK, Germany and Japan. And we have stated that we will be in India soon. So the content that we are creating, especially through Amazon Studios, we are generally holding the worldwide rights to and can use that in other countries as well. And the cost of that then gets amortized to those countries. It becomes part of the International segment results. So yes, and we consider that to be very valuable as opposed to, versus licensing many times by country, the third-party rights to content that we don't create ourselves." --Brian T. Olsavsky, ‎SVP, Chief Financial Officer, Amazon.com, Inc.
See also previous posts about Amazon on DomainMondo.com. Twitter is a U.S.-based online social networking service that enables users to send and read short messages called "tweets". Registered users can read and post tweets, but those who are unregistered can only read them. Twitter's headquarters is in San Francisco, CA. CEO is co-founder Jack Dorsey. 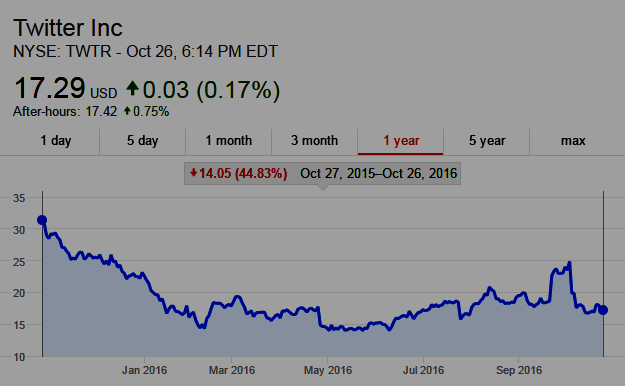 Twitter, Inc. will release financial results for the third quarter of 2016 at approximately 7:00 a.m. EDT, on Thursday, October 27, 2016, before market open. On the same day, Twitter will host a conference call to discuss these financial results at 8:00 a.m. EDT. To have your questions considered during Q&A, Tweet your question to @TwitterIR using #TWTR. LIVE audio webcast--Oct 27, 2016, 5:00 AM PT / 8:00 AM ET--Listen to webcast replay. Twitter has used, and intends to continue to use, its Investor Relations website and the Twitter accounts of @jack, @twitter and @TwitterIR as means of disclosing material non-public information and for complying with its disclosure obligations under Regulation FD. Twitter Planning Hundreds More Job Cuts as Soon as This Week | Bloomberg.com: October 24, 2016 "Twitter said to plan cut of about 8 percent of workforce." 2016 has been a bad year for sugary foods—packaged food sales in the US have registered slow growth as healthier alternatives usurp share. The fastest growing Index brands are snacks positioned around a healthy lifestyle. As these health-oriented upstarts gain share, legacy brands look to mergers and acquisitions to grow earnings in a static market. Meanwhile, digital efforts can differentiate brands looking for growth, online or in-store. While only two percent of the $675 billion in U.S. grocery sales occurred online in 2015, e-commerce is enjoying rapid growth across grocery categories—thanks in part to visibility on retailer sites. 99 percent of brands are present on at least one of the sixteen major grocers profiled in this year’s study, and 12 percent of brands have signed up for the Amazon Dash button since introduction last spring. Brands have increasingly invested in digital ecosystems with rich recipe content shared across social platforms, increasing brand awareness and easing the path to purchase. Lastly, adoption of mobile tools and emerging platforms are reaching scale—94% of brands have mobile optimized sites, up from 82% in 2015, and 82% of brands are now present on Instagram, up from 61% in 2015. Kraft (domains: kraft.com / kraftheinzcompany.com / kraftrecipes.com) rises to the number one spot in this year's Digital IQ Index: Food, boasting a recipe site with shopping list functionality and local offers on subsidiary brands' products, strong visibility across brand and category searches, and aggressive advertising on mobile, desktop and video platforms. The study attempts to quantify the digital competence of 126 Food brands operating in US market. Members can download the full report at L2inc.com. Video above published September 19, 2016. Video above: NYU Professor Scott Galloway and Tony Dwyer, chief market strategist at Canaccord Genuity Group, discuss AT&T's $85.4 billion agreement to acquire Time Warner and how Apple or another Silicon Valley giant could disrupt this deal and question whether or not an Apple-Disney deal could happen. They speak on "Bloomberg Surveillance" on October 24, 2016. Q3 2016 / FY 16 Fiscal Fourth Quarter Results: Webcast and conference call Tuesday, October 25, 2016 at 5:00 p.m. EDT (US). Apple Inc. is a U.S.-based multinational technology company headquartered in Cupertino, California, that designs, develops, and sells consumer electronics, computer software, and online services. UPDATE: Apple quarterly revenue $46.9 (-8.9% Y/Y), EPS $1.67 ($0.02 better than estimates), net income $9B (vs. $11.1B Y/Y), gross margin 38% (vs. 39.9% Y/Y). 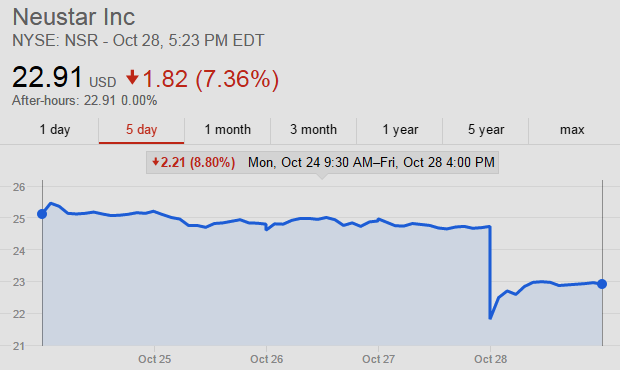 See also: Apple -2.5% after hours; EPS above consensus, revenue in-line [updated] - Apple Inc. (NASDAQ:AAPL) | SeekingAlpha.com. *Apple Live streaming uses Apple’s HTTP Live Streaming (HLS) technology. HLS requires an iPhone, iPad, or iPod touch with Safari on iOS 7.0 or later, a Mac with Safari 6.0.5 or later on OS X v10.8.5 or later, or a PC with Microsoft Edge on Windows 10. AT&T and Time Warner [timewarner.com | NYSE: TWX | @twxcorp] will discuss the transaction and AT&T’s 3Q earnings. Links to the webcast and accompanying documents will be available on both AT&T’s and Time Warner’s Investor Relations websites. AT&T has cancelled its previously scheduled call to discuss earnings, which had been set for Tuesday, October 25. AT&T (NYSE:T): Q3 EPS of $0.74 in-line. Revenue of $40.89B (+4.6% Y/Y) misses by $260M. 10am EDT Monday, Oct 24, 2016: Watch the live behind-the-scenes of @JohnLegere and the @TMobile senior leadership team as they deliver Q3 2016 results. Tweet your questions to @TMobileIR using $TMUS. 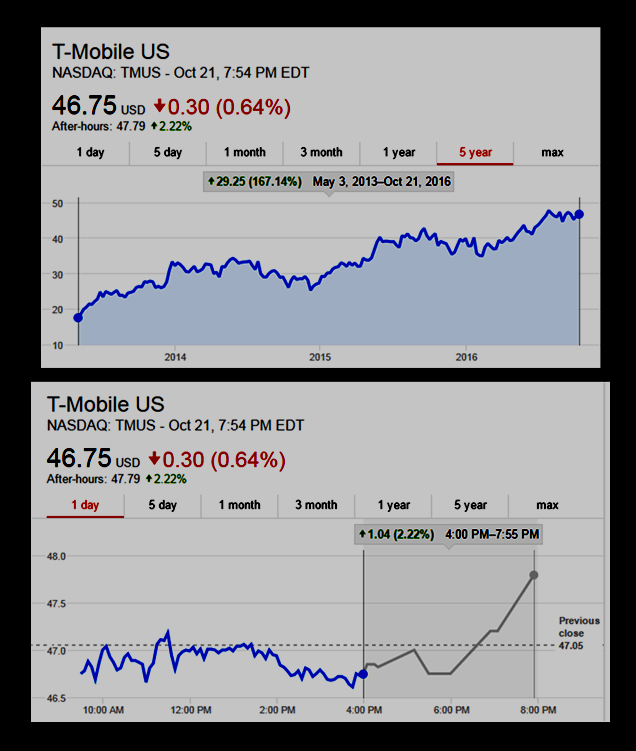 T-Mobile US, Inc. is one of the four major wireless network operators in the United States (others are At&T, Verizon, and Sprint). The German telecommunications company Deutsche Telekom (DT) is its majority shareholder, through DT's holding company T-Mobile International AG. T-Mobile is the third largest wireless carrier in the United States with 67.4 million customers as of Q2 2016. Its headquarters are located in Bellevue, Washington. Q3 2016 Earnings Conference Call Webcast 10:00 am EDT Monday, Oct 24, 2016. Similar to past quarters, prepared remarks will be kept to a minimum in order to provide more time for free-flowing dialogue with analysts, investors, media and consumers. Participants will have multiple ways to submit questions including via phone, Twitter (tweet @TMobileIR or @JohnLegere using $TMUS) and Facebook (www.facebook.com/JohnJLegere via post comment). T-Mobile will also take questions via text and respond to some of them on the call (send a text message to 313131, enter the keyword TMUS followed by a space). The call will be live-streamed via the Company's Investor Relations website at http://investor.t-mobile.com. T-Mobile US - Q3 2016: Q3 EPS of $0.27 beat by $0.04. Revenues of $9.2B (+17.2% Y/Y) miss by $220M. 969K new postpaid customers, net income up to $366M from $138M a year earlier.